Hi beautiful friend! 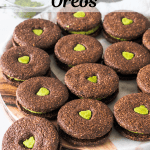 Thanks for joining me today and checking out my Matcha Vegan Oreos! 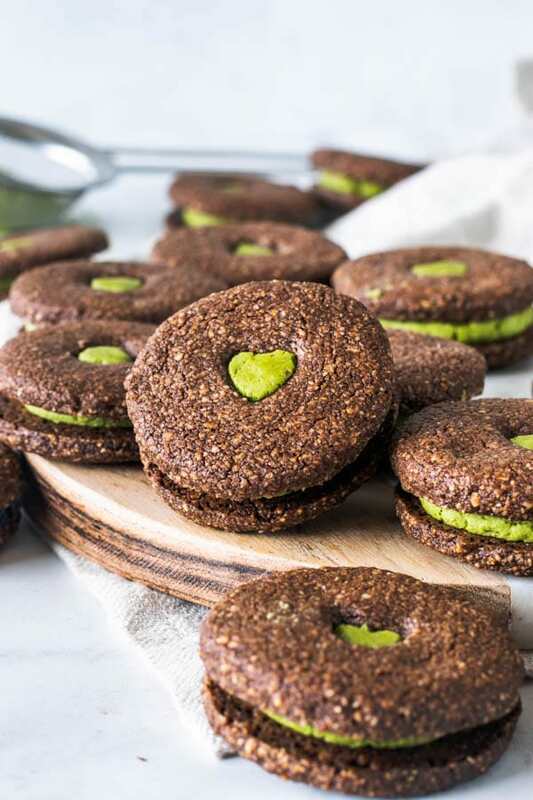 These Matcha Vegan Oreos have a special place in my heart now, becoming one of my favorite cookies I’ve ever baked. These oreos are vegan, gluten-free, and totally amazing. 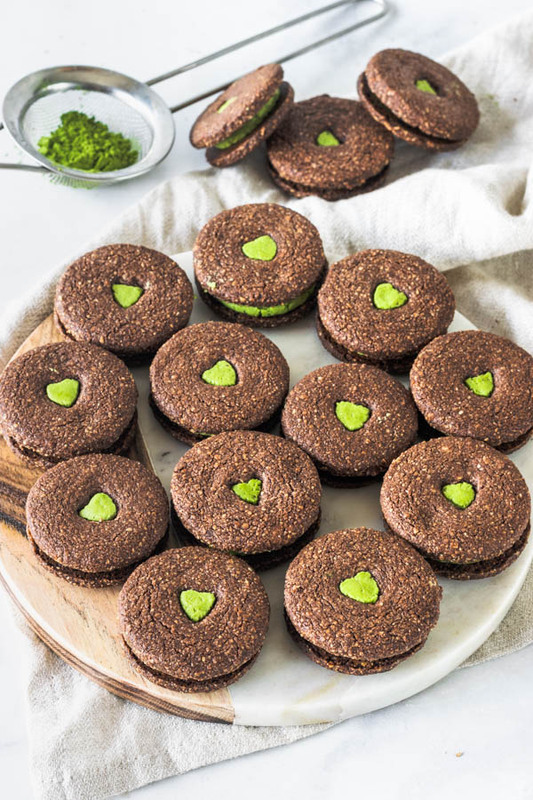 I originally posted these Matcha Vegan Oreos on my Instagram feed last Sunday, which was St. Patrick’s day. Since I had made and photographed these that day, I wasn’t going to have time to write the recipe, edit all the pics, and etc, in time to post the recipe. So I ended up just editing one of the photos I had taken and posting that on Instagram in honor of St. Patrick’s Day last week. 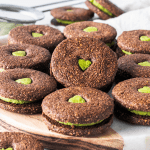 Yes, these Matcha Vegan Oreos are a great St. Patrick’s Day treat also. 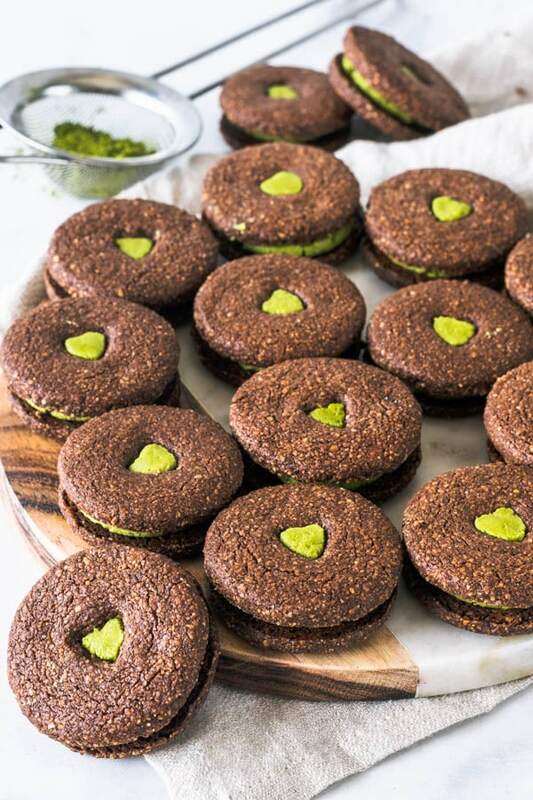 Making these Matcha Vegan Oreos was a breeze. They were super easy and quick to make. Making the dough takes about 3 seconds. Actually, the most work will be to roll out the dough. Use a piece of wax paper under and another one over the dough, when you roll it out. Because this vegan chocolate cookie dough is very sticky and wet, and you will have a hard time rolling out the cookies and lifting them off the counter. As you can see I used a silicone mat on the bottom, which will be just as good as another sheet of wax paper. 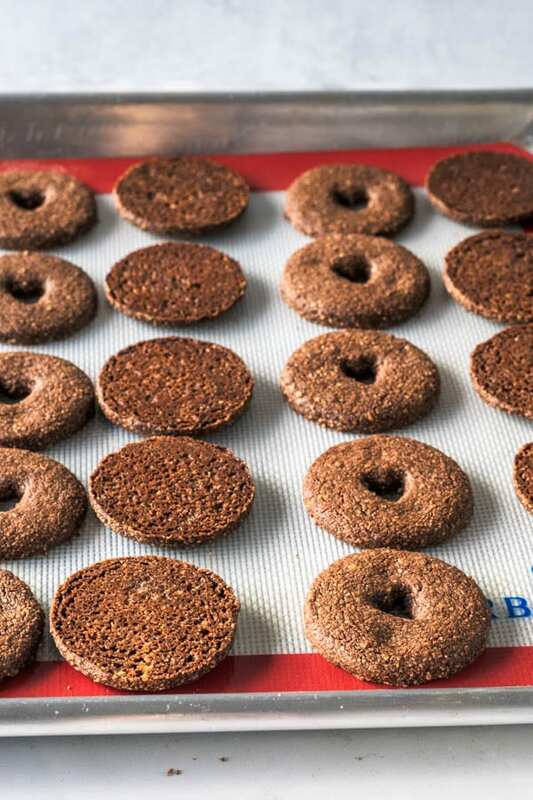 After rolling out the cookies and cutting them, you can remove the rinds and leftovers, and place the cookies in the freezer for a while until they solidify and you are able to lift them off your wax paper or silicone mat. Before baking the cookies, freeze them again and bring them back to solid if they happened to have sat out at room temperature. That’s because you want your cookies to be solid once they enter the oven, since they will have a better shape if the fats in the cookie are solid and cold instead of already at room temperature. 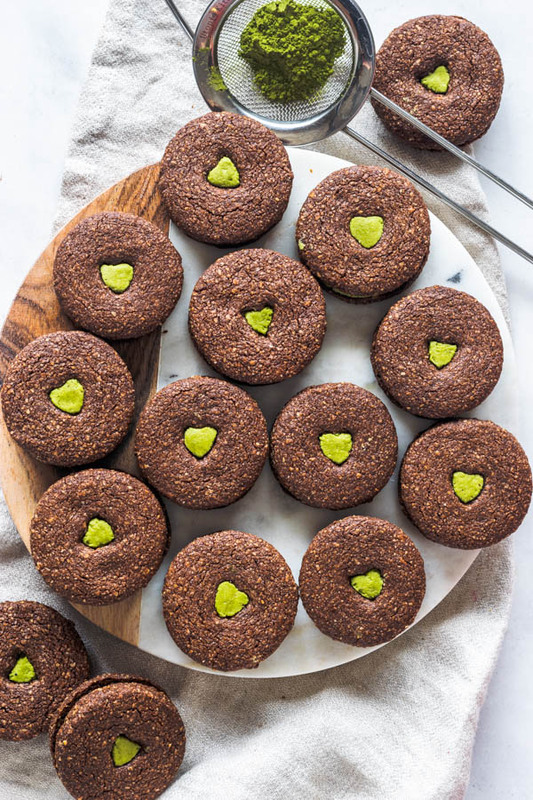 Then all you have to do is let your beautiful cookies cool down before filling them with the Matcha Vegan Buttercream. Let the filled cookies chill in the fridge until set. Enjoy! 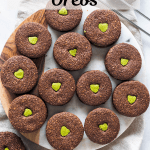 If you like vegan cookies, and if you like matcha, I am certain you will love these Matcha Vegan Oreos! If you love vegan desserts and anything to do with vegan baking, please check out my other Vegan Dessert Recipes. 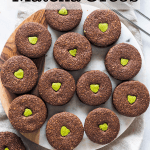 Here are some of my favorites that you might like, specially if you loved my Matcha Vegan Oreos. 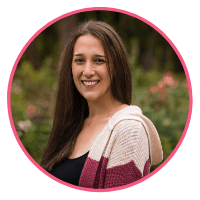 Thank you for reading my blog and checking out my recipes! Have a great day! 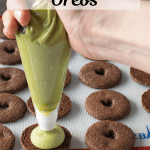 These Matcha Vegan Oreos are filled with a delicious vegan matcha buttercream. 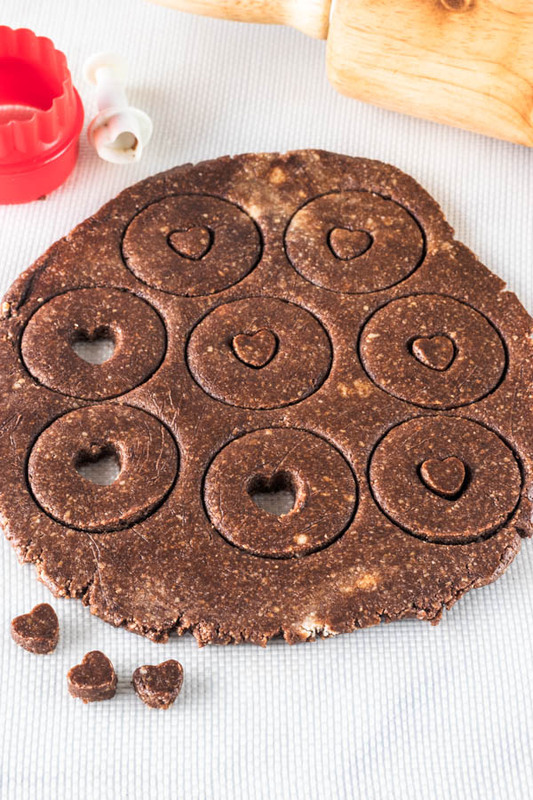 These cookies are also gluten-free! Sift almond flour, arrowroot powder, cocoa powder, baking soda, and salt together. Set aside. Mix melted coconut oil, maple syrup, and vanilla. Add dry ingredients to the wet ingredients until the dough comes together. Wrap dough in plastic wrap, let it rest in the fridge for at least 2 hours to set. Let dough rest on the counter for 5-10 minutes to get a bit softer so you’re able to roll it out. Divide dough in half. 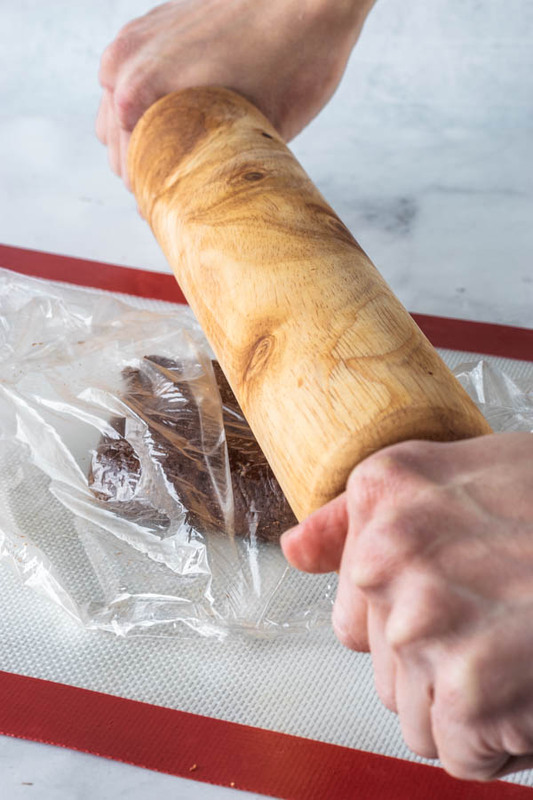 It will really help if you roll the dough between pieces of wax paper, because the dough will be very sticky. Roll out one half of the dough until about 1/8” thick. Use any cookie cutter of your choice to cut your cookies. I used a mini heart cookie cutter in the center of half of my cookies, so I could make the filling peek out a little bit like you can see in my pictures. If you find the cookies are too sticky and soft to be lifted up and moved, place them in the freezer for about 5 minutes, and then you can arrange the cookies in a baking sheet about 1/2 apart from each other. While the oven pre-heats, keep cookies cold in the freezer or fridge. Bake each tray for 8-10 minutes, rotating in between. Remove cookies from the oven and allow them to cool down before filling. Sift powdered sugar and matcha together. Set aside. Cream shortening and vegan butter with an electric mixer for 1 minute. Scrape down the bowl as necessary. With the mixer off, add powdered sugar and matcha to the bowl. Mix on low until incorporated. Raise speed to high and cream until fluffy and smooth. Add vanilla and mix to incorporate. 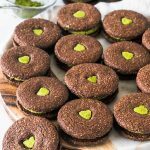 If your vegan Matcha Buttercream seems too stiff, you can add the almond milk to try and make it thinner. Don’t add too much, add just a bit at a time and mix to check and test for consistency. 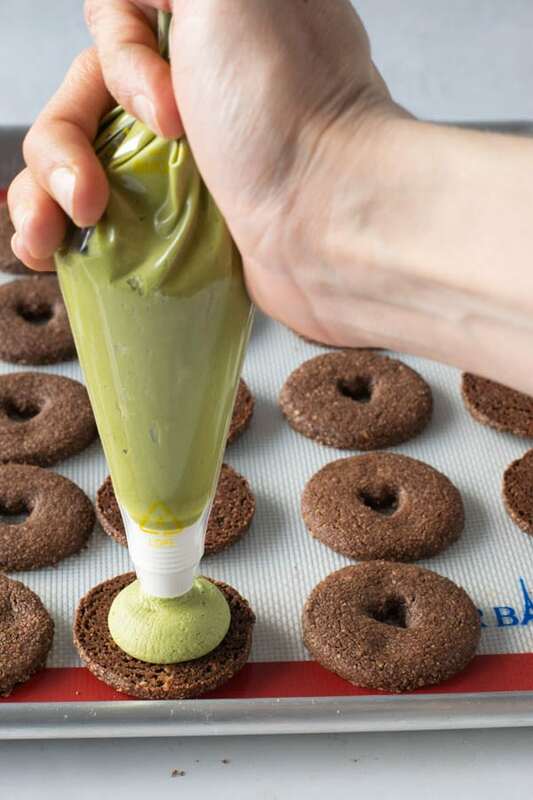 Place matcha buttercream in a piping bag. Pipe in the center of half of the cookies. Top each cookie with another one. Place in the fridge to let the filling set. 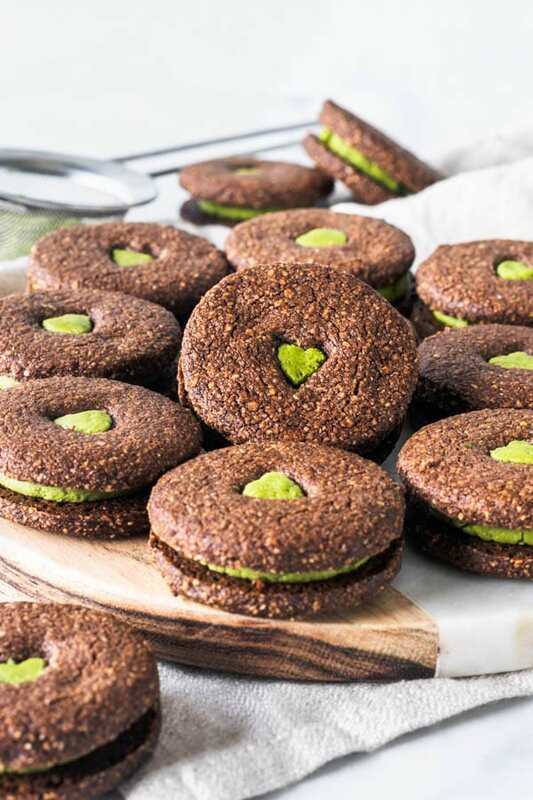 These Vegan Matcha Oreos will store well for up to 1 week, in the fridge. Camila, esses doces estão fantásticos, muito apetitosos….. parabéns!!!!!!!! !